Routine physical activity is one of the most effective ways to boost emotional and physical well-being. POTENTRx helps clients in the Seattle area create a personalized exercise plan in order to achieve their health and fitness goals. "Great Doctor who cares about helping people become a better healthier person." 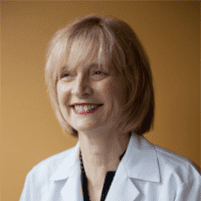 "Dr. Speck is a doctor in the truest sense of the word...can't say enough about her." "Wonderful caring people and so patient...ALWAYS encouraging, positive and helpful." Why is exercise an important part of staying healthy? Getting regular physical activity is crucial for optimal physical and emotional health. Exercise promotes healthy functioning in different parts of the body, including the musculoskeletal system, the cardiovascular system, and the respiratory system. This reduces the risk of heart disease, diabetes, high blood pressure, and other serious health problems. Exercise also supports a healthy immune system, which lowers the risk of getting infectious diseases and illnesses, such as the common cold and flu. How does exercise affect your emotional well-being? Working out on a regular basis benefits emotional well-being by promoting the production and release of hormones called endorphins. These hormones serve as mood boosters that help people feel good. Exercise also reduces stress, increases energy levels, and improves cognitive skills, such as memory and thinking. Getting physical activity on a daily basis also improves sleep, which boosts both physical and emotional well-being. How does exercise help you lower your body fat percentage? Having an unhealthy body fat percentage, which depends on certain factors, such as an individual’s height, increases the risk of developing type 2 diabetes, heart problems, and several other health conditions associated with serious complications. Certain exercises and workout routines can help lower body fat percentage in order to boost physical health and lower the risk of serious problems. Combining exercise and a healthy diet can help keep body fat percentage at a healthy level. How strenuous should exercise be? A challenging workout routine is an important part of getting enough physical activity, but it’s also important to avoid overexertion. Those who start a new exercise routine should be careful not to push their bodies too much, especially if they're not used to working out. Under the guidance of the state of the art team at POTENTRx, clients can find out which strenuous activities are safe to include as part of their overall exercise plan and learn how to balance the more challenging exercises with more moderate ones. This personalized plan includes recommendations for exercise intensity, volume, and frequency, along with nutritional guidance to help clients make the most out of their fitness routine. Below is a short-list of just some of the plans we accept. Please contact our office if you do not see your insurance provider listed below. "I am so glad I found Dr. Speck. She is an excellent Dr. I trust her knowledge so much...She got me on the correct meds and my life/health has been wonderful since then." "Very knowledgeable and patient oriented group...I highly recommend this clinic for both athletes and those wanting top cardiac care and advice." "Dr. Speck has a preventative approach to good heart health...In this scary area of heart health, Dr. Speck puts me at ease knowing I am in excellence hands."